I was diagnosed with Scheuermann’s disease (a self-limiting skeletal disorder) when I was a young male, it did not really bother me until the age of about 30, then the disease became a pain nightmare. For the last 14 years I had pain (daily), it also became an issue when I could not perform daily routine functions like carrying my baby girl around for more than 10 minutes. 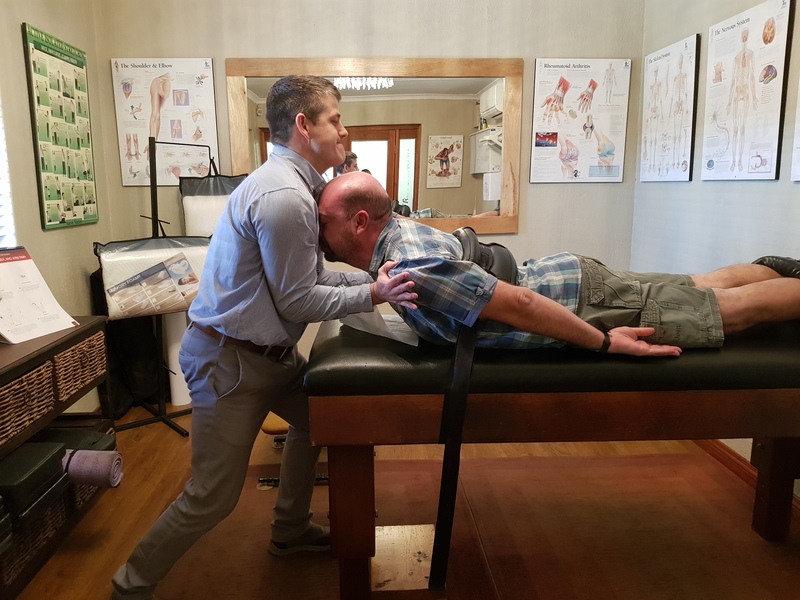 I tried everything: Acupuncture, massages, Thai massages, muscle ointment for horses, physiotherapy, pain medication, anti-inflammatory medication, muscle building exercises etc….NOTHING worked!! Two years ago I finally went to an Orthopaedic Surgeon, something I put off as long as possible, because I really did not want an operation but decided, that if this is the only way to get rid of the pain, I will go forit. My Scheuermann’s disease was confirmed, and I were given a 3-month anti-inflammatory course of medication and referred to a Biokineticist. I drank the pills and went for sessions with the Biokineticist and did the exercises that was given to me…..again…no relief…at all. This is when I discovered Stretching SA and I contacted Ryno van den Berg. I have been going to Stretching SA now for 2 treatments per week for about 3 months and WOW! Last month was the first time in the last 14 years that I were without any pain for 3 consecutive days and then I had a whole week without any pain! Awesome! Although my treatment is ongoing, there is a bright light at the end of the pain tunnel! I’m just so grateful that I discovered Stretching SA.